There are so many of these weekend experiences that have been personally moving or meaningful to us for different reasons: relationships built, magic moments in performance, hysterical spotlights or all-skates, powerful learning transformations, teaching breakthroughs, etc. But this past weekend (May, 2017) we were privileged to experience a new degree of “epic”: the most intense, electric, unifying, soul-exploding scene we have ever witnessed in our careers. And we are honoured that it happened at our own event: The Canadian Swing Championships. 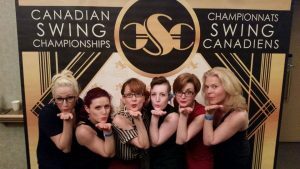 The Canadian Swing Championships (CSC) is a very, very unique event. It’s hard to describe the magic of CSC in just a few words: it can’t be compared to your average pure WCS event, and words can’t do it justice. 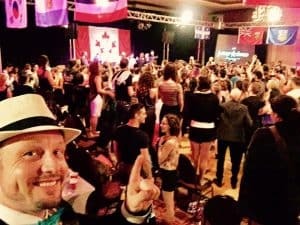 I feel compelled to try, not only because Coach’s Corner is about making dance magic more accessible, but because you need to understand the context in order to visualize the euphoric climax it came to Sunday night, at CSC 2017. You’re going to want to read to the end, and watch the amazing video captured in the epic climax last year. 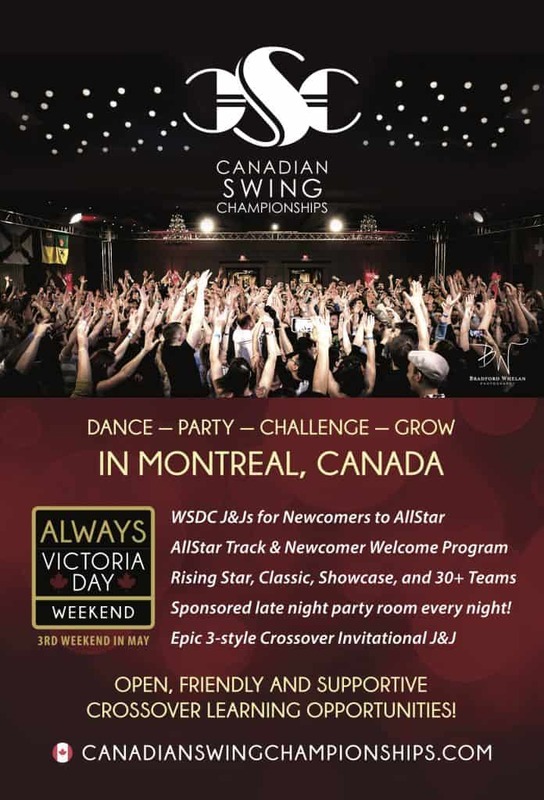 This 18-year old crossover Swing event in Montreal, Quebec, Canada is held annually on our Victoria Day long weekend, which is the 3rd weekend in May, right before American Memorial Day weekend. In 2007, we were invited by co-founder and director Didier Jean-Francois to join the team as organizers of the West Coast Swing side of the event which also features Lindy Hop, Balboa, Rockabilly Jive, Boogie Woogie, and Blues. While Vancouver is the West Coast Swing capital of Canada, Montreal has the biggest Swing community in North America, with THREE 400-student dance schools in the city itself, exclusively dedicated to all styles of Swing dancing and emphasizing diversification across styles. 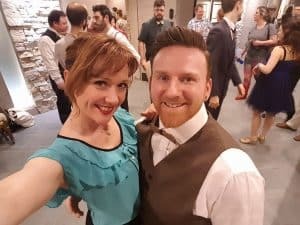 Some of the best vintage Swing dancers in the world have emerged from or worked in residence in the Southern Quebec/Ontario region. As the ultimate crossover event, CSC is where all the top dancers and all their student teams come to bring their A game, with most competing in multiple teams, multiple contests, and crossing over multiple styles. -Each room dedicated to a different dance style: Lindy, WCS, Rockabilly/BoogieWoogie, and Blues. Over the years, CSC has evolved from an intimate yet intense Swing party camp to a world-class production that maintains its organic, party-oriented spirit. All elements of the event are designed to reflect the motto of “Dance, Party, Challenge, Grow” which encourages dancers to participate 100% in all aspects of the weekend – workshops, social dancing, competing, and partying. The party aspect of CSC is intense, to say the least. After competitions are over, each room has live bands playing till 1 or 2am, so the social dancing is so amazing, people don’t transition to party mode until after. 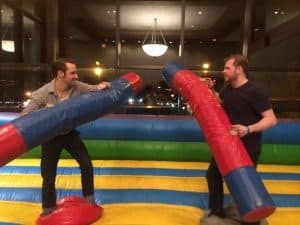 Take a breath before reading this part: CSC provides a full-size meeting room transformed into a nightclub, with a hosted bar, open to all attendees, every night, starting at 2am. I know know that was a lot to wrap your head around so I’ll let you re-read that sentence. In the Party Room, DJ’s spin great music that is not specifically Swing, people groove, bounce, twerk, and chant to their hearts content until sunrise. Most people float between the social dancing and the partyroom for the rest of the night. 6:00am. With the party room packed and in full swing. If you’re not in the mood for that hyperactivity, there’s a secondary hosted chill lounge room featuring drinks, snacks and Canada’s legal recreational cannabis. Or simply social dance the night away in the last room standing: The Westie Room, where top DJs like Sarah Piddington, Victor Loveira and Louis St. George keep the floor rocking beyond sunrise. The workshops and social dancing are the awesome standard you can expect from any convention, thanks to the professionalism of our carefully-selected WCS staff: Sean & Courtney, Ben & Cameo, Jerome & Bonnie, Philipe & Flore, Kay and Nelson, and of course Myles & I. At CSC, the crossover-curiosity game is strong: by popular demand, we have to hold intro classes on each day, the Newcomer divisions are loaded with cross-over-ers, and it’s not uncommon to see students frantically changing costumes backstage because they are dancing in multiple contests and genres. The “Diva Training” class I taught on Sunday was a motley crew of 60 strong: mixed gender, mixed level, mixed styles, mixed ages, and mixed languages, all eager to step out of their comfort zones now that their competitions are done. Speaking of crossover, the Sunday night Invitational J&J features most of the staff in spotlight final format, selected specifically for their showmanship and willingness to model crossover. Backstage before Advanced Balboa finals! These Invitational dancers do not just dance to Lindy and WCS music, they also add Rockabilly Jive/Boogie Woogie to the mix, making it a 3-way crossover. This pee-your-pants hysterical show depletes whatever voice you have left, as you squeal in deafening cheers and laughter. Spectating at CSC is an adventure in itself. The energy in the ballroom is the most intense our Westie staff has ever seen in their careers. The packed ballroom, high ceiling, live band stage, and lights/sound/music production make you feel like you are at a concert. The tag team emcees of event director Didier Jean-Francois and Brad Whelan are outstanding at both entertaining and educating the crowd in both French and English. As performers, they are one of the most responsive audiences we get all year, and if you really kill it, they throw shoes at you when you’re done as a sign of deep respect. One of my favourite things to do is watch a first-time attendee’s face as they take in the Invitational J&J, the Canadian Showcase (outrageous jam-format Pro Lindy Strictly aerials to a live band), and believe it or not, the awards ceremony, which is a show in itself. The look of pure joy/glee/shock as they drink it all in; the new sparkle in their eyes, their cheeks burning from smiling as hard as their abs have been laughing. Last year, Sunday night, after awards, after dinner, the live 5-piece band, The Royal Pickles, marched through the lobby playing “The Saints Go Marching In”, in order to call all the dancers out of their rooms to assemble in the ballroom for the Invitational J&J (Mix & Match). 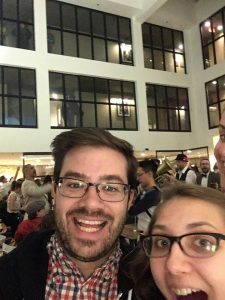 This year, we had a feeling there was something magic in the air when the live band actually wandered through the atruim restaurant and played amongst the tables to a packed lobby, like a concert, and played not just one but 4 songs. Invitational J&J (Mix & Match) as usual, was off the chain. It’s always awesome to challenge ourselves with a crash course in different styles, jamming with fellow non-Westie pros trying to see what they can make us do! While everyone went 100% balls-to-the-wall, past Invitational inidivudal winners, Myles Munroe and Flore Berne were the couple to beat, strongest in all three dances and comedy… until the final couple, Westie Champion Courtney Adair drew Lindy Hop/ Boogie Woogie Champion Felix Berghall from Sweden and hit a home run. Shoes were thrown at them before they even finished their 3rd song. After the audience applause (LOL this word does not to it justice…more like audience “insanity”) deemed them the winners, they started a solo honour dance and the crowd instinctively rushed the floor to create a jam circle. The jam that ensued was a glorious mix of styles, stunts, and steals that charged the crowd in to a frenzy. We’ve been in great jam circles before, but this one was particularly electric. Without any direction, everyone (crowd, dancers, DJ, lighting) instinctively knew exactly what to do – our collective hive mind organically transitioned from celebrating the winners to celebrating Swing, then broke apart on phrase to celebrate as a rave. Looking around as I bounced, my heart was full: I was surrounded by friends and community of like-minded Swing dancers who understand the culture of how we do, and also understand how epic and special this moment was. As Brad Whelan commented, “It wasn’t even about amazing dancing. It was about the connection we all have to each other. It was the ultimate expression of unity and harmony in an occasionally divided community. Nothing was forced, everything was natural, and everyone was ecstatic.” The rave evolved into a conga line, and as the DJ faded the music, the band started playing along in key, and faded in seamlessly to take over. As we finally exited the floor, each one of us was overwhelmed to the point of speechlessness. I personally got a little verklempt and wondered how we could ever hope to explain this intense, insane magic to anyone who missed it? Even the video won’t completely do it justice, but thank you Jerome Subey for trying. Be sure to watch to the end. I need this. Hook me up! Every event has its own personality: a blend of the event director’s vision and the community the event serves. We have been proud to work for some amazing event directors who really have their heart in the right place, are dedicated to the integrity of the dance, and being of service to building communities. I love that there are so many different types of products available now: conventional conventions, workshop weekends, levelled workshop camps, intensives, and multi-dance festivals. Each event seeks to find its own unique brand; to find the balance between following the formula of format that dancers are used to, and trying innovative new tactics to engage and entertain. And while they are being squeezed by expenses and 5-star hotel contracts, they try to provide an affordable weekend price tag that the market demands. We are proud to represent an event that has its own unique brand, so we know how hard they work. Some events are known for their formal classy ambiance, their polished production, their glamourous red carpet Saturday night, their warm and cozy neighbourhood atmosphere, their slick late night vibe….CSC does not specialize in these elements. 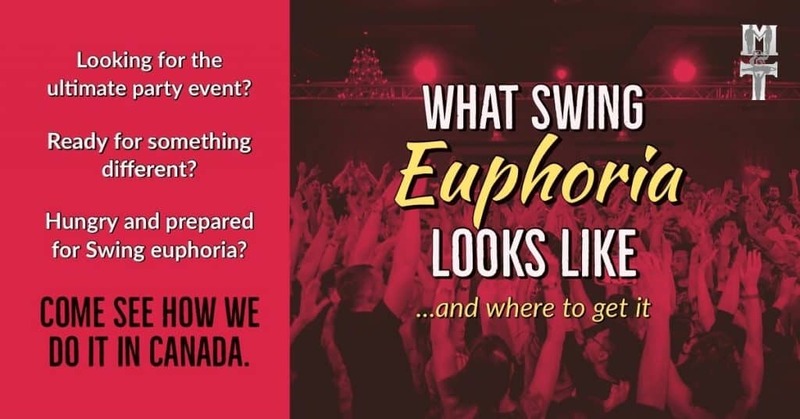 But if you can handle it, and you are searching for an epic EPIC party based in celebrating Swing, mark your calendars now for May 17-20 (stay Sunday night for holiday Monday! ), 2019. 2017 Photos will be added at www.bradfordwhelan.com as they become available.